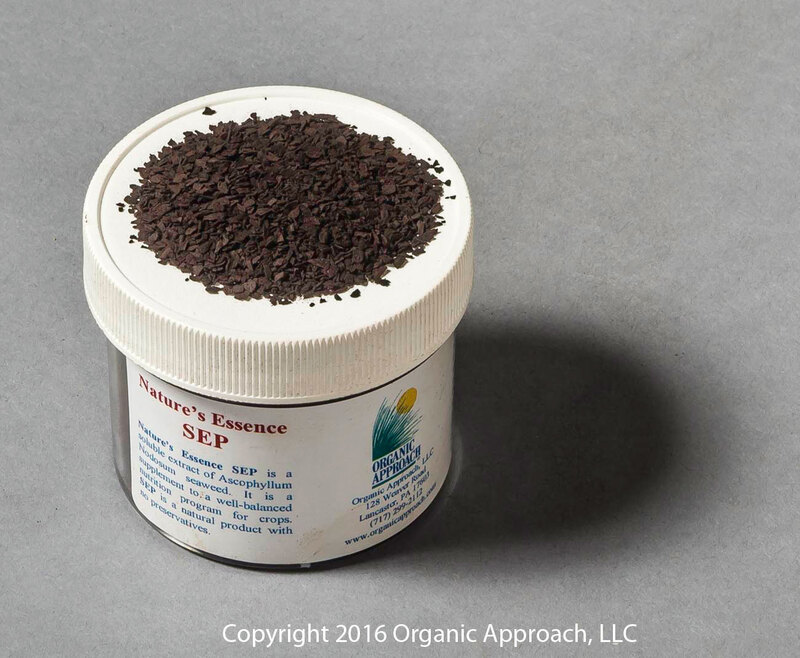 Nature’s Essence SEP is a soluble extract powder derived from raw seaweed. It is often said that seaweed is the compost of the ocean, and this is very true as it is a very dynamic substance with a wealth of natural amino acids, trace elements, and naturally occurring plant growth hormones. Whenever a plant is under some form of stress (cold & heat extremes, water-logging, drought extremes, insect & disease pressures, nutrient imbalances, etc) it re-directs its energy to fight the stressor, putting many of its natural growth functions on hold in the interim. When this happens it is less able to synthesize its own growth hormones by converting internal amino acids, micronutrients and trace elements. Nature’s Essence SEP contains all of these important plant compounds, providing a direct injection to the plant when it is most in need. Nature’s Essence seaweed is one product that no grower should be without – it really is that valuable!